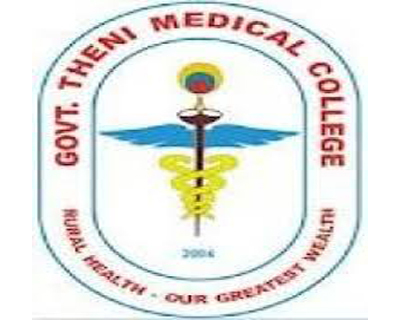 Theni: The Government Medical College Hospital-Theni (GMCH) has announced suspension of three sanitary workers working with the college are it was found that they were giving treatment to patients and charging money from them. The suspensions were made on Sunday. This came soon after a news about workers giving intravenous injections went viral on social media. The health department responding to the news, ordered a probe into the matter. The department immediately directed the government medical institution’s administrative authorities to conduct inquiry into the matter and sought a reply from them soon. Preliminary inquiry was conducted by a team of doctors working with the medical college and it was concluded by the dean of the institution that the allegations were false. At the same time, an enquiry conducted by the DME revealed three sanitary workers acting as doctors at the college. A secondary inquiry was then performed by a team of officials from the Directorate of Medical Education who concluded that the workers named were indeed guilty and taking strict action against them they were suspended from duty, stated dean, GMCH-Theni. It is reported that various sanitary works at the hospital are outsourced to private agencies, who provide contractual staff for housekeeping and cleaning works. It is a practice in some The MEDICAL COLLEGE Teaching Hospitals . The Ward boys / Attenders doing dressing of the wounds, at times even fondling with I V lines. There is reason behind this, who ever deals with I V lines is considered to be a an important person in healthcare system. That\’s why the least Qualified personal like sanitary workers involve in such acts of course with the blessings of the Duty Doctors/ Nurses, with out which they are not Dare ENOUGH to venture such heroic ACTS. The Faculty, Nursing Staff, students and the Medical Superintendent and RMO are more responsible for such an act. ( irresponsible people).